Unlike Traditional dance dancers (e.g. Ballet), a variety of Popping dancers don’t know the importance of breathing technique, nor do they consider it important, which weakens their performance. Plow helps Popping dancers to know their breathing pattern, and provide some basic breathing techniques to improve their performance. 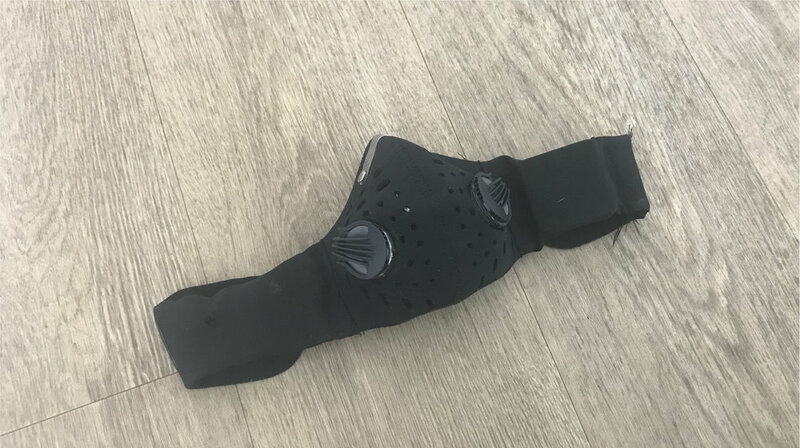 The challenge in research phase was that breathing problems and solutions could vary greatly among individual poppers as they have their own habits when dancing. Qualitative research methods and quantitative research methods were used and collaborated with each other. Qualitative research (interviews, body storming) was to get a deep understanding of poppers while quantitative research (questionnaire research) was to quantify the problems and solutions and identify priorities to solve. To enable users interact with breathing, it is necessary to translate abstract breathing status into easy-understanding and measurable data. Therefore, in interaction design stage, both hardware design and software design were necessary to be explored. 3 sensors were experimented, including a heart-rate sensor, a chest-dilation sensor, and an air-pressure sensor. 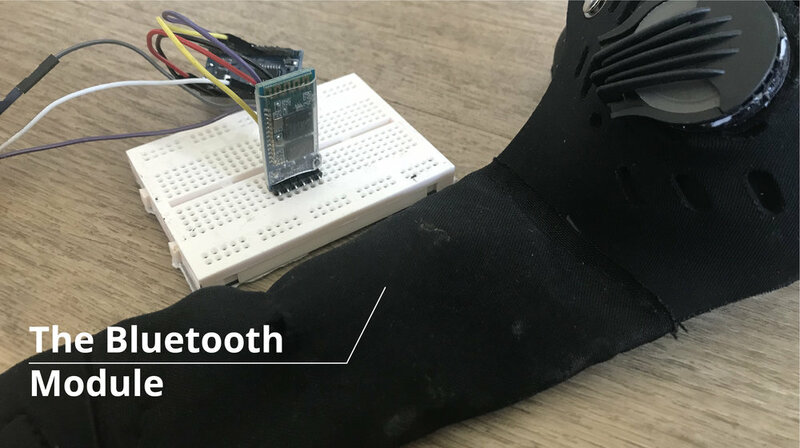 Heart-rate sensor was out of consideration because the data was indirectly linked to breathing, and users needed great effort to understand the data. The dilemma existed in the selection between chest-dilation sensor and air-pressure sensor. Both were able to produce meaningful and easy-understanding data to users. 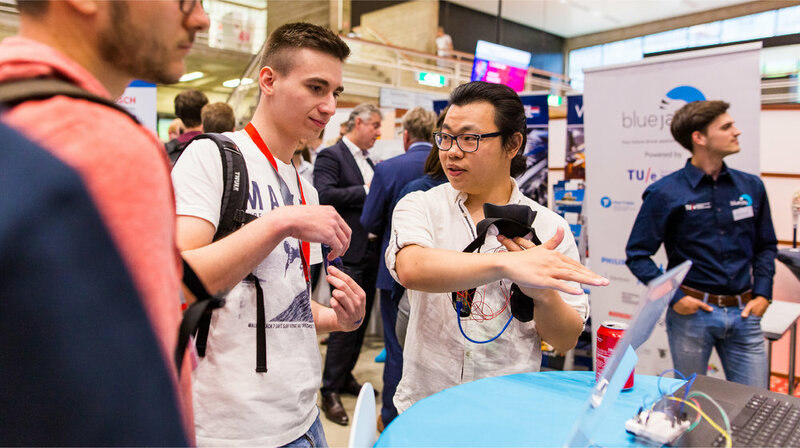 However, the chest-dilation sensor was more comfortable to wear while air-pressure sensor could produce more accurate and real-time data. The challenge in software interface design was whether to enable users learn breathing techniques through freestyle or tutorials. It was because freedom was one of the core spirit in Hip-Hop culture which also applied to Popping. However, tutorials was the most efficient of learning new knowledge. 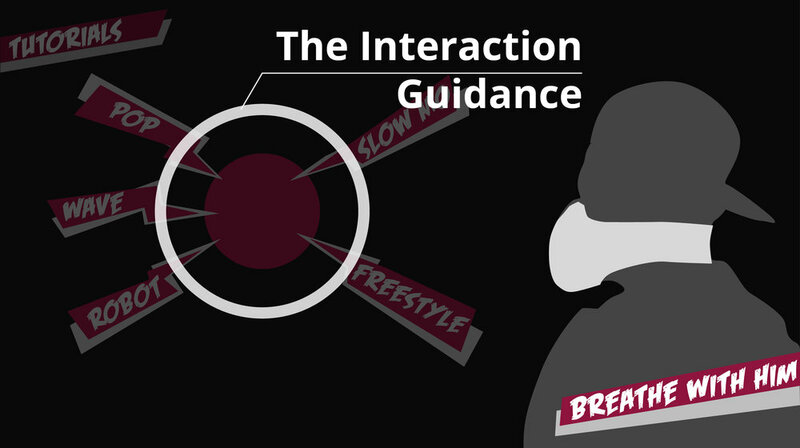 In freestyle interface design, users only needed to inhale or exhale on the correct rhythm of music, which aimed to guide users breathe based on the timing of music. 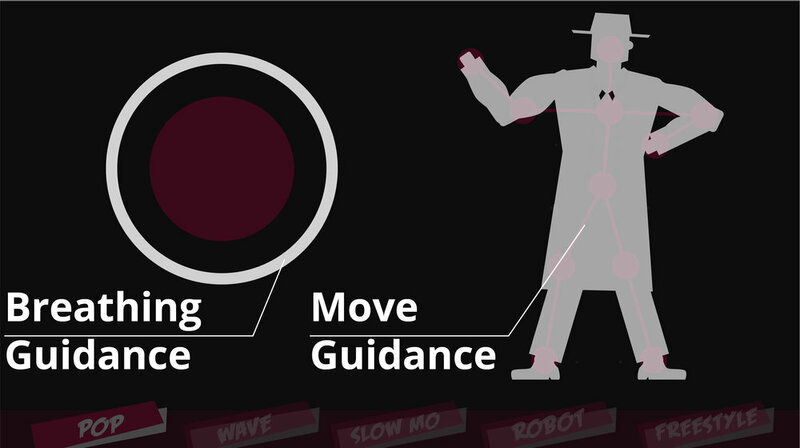 In tutorial interface design, users only needed to study inhalation and exhalation based on dance moves, which aimed to help users understand the relationship between moves and breathing. 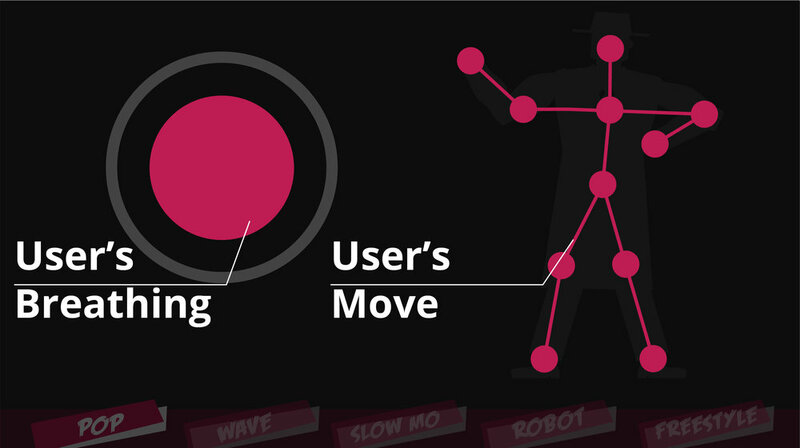 User tests were performed mainly in dance studios where users practiced dancing. Questionnaires and metrics were used to quantity user feedback and make data measurable for design decision making. Considering tangible interaction, users preferred air-pressure which though was less comfortable. It was because the data was more meaningful and helpful for their training. In software interface design, the result showed that tutorials was more effective than freestyle as users could start learning in an easier way. What’s more, the menu design was welcomed by users as they could easily learn how to use the product through interacting with the menu interface. The market of dance training was globally researched and China was targeted as the major market as there was greater potential than other regions. Based on China market, the business plan was analyzed through business model lean canvas, competitive analysis, 5-year business projection, etc. The project was presented in the form of ‘elevator pitch‘ to companies to evaluate its feasibility and viability. 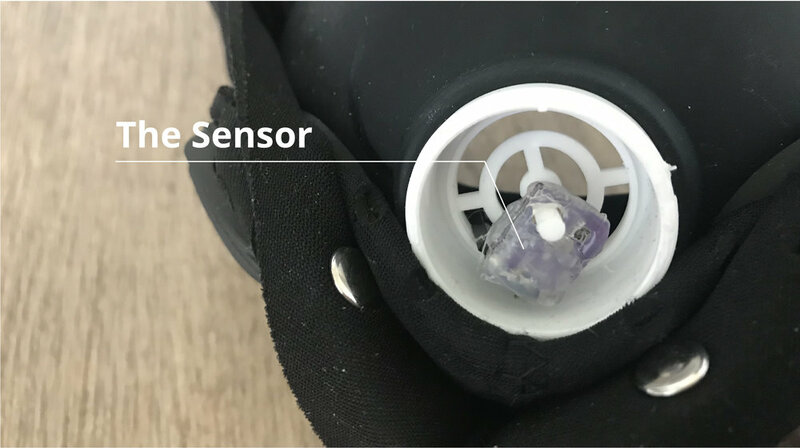 The mask contains a breath sensor that can detect users’ breathing volume and distinguish inhalation and exhalation. The start menu teaches users how to interact with the interface. Meanwhile, users have 4 tutorials to learn basic breathing techniques. 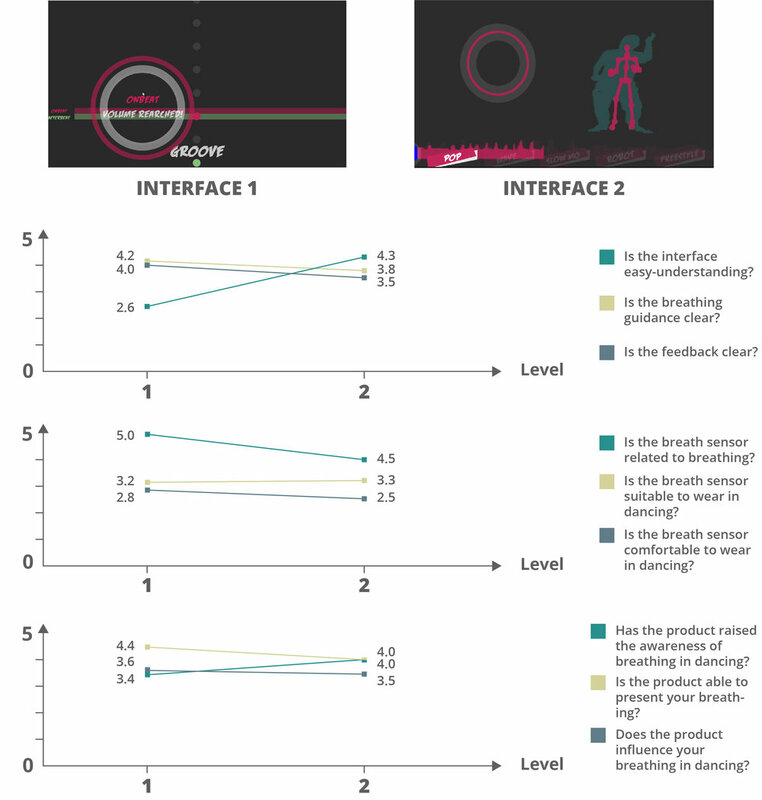 In tutorials, users will observe how the dancer (presented in grey color) in the interface dance and breathe, and they imitate the moves as well as the breathing pattern (presented in red color). 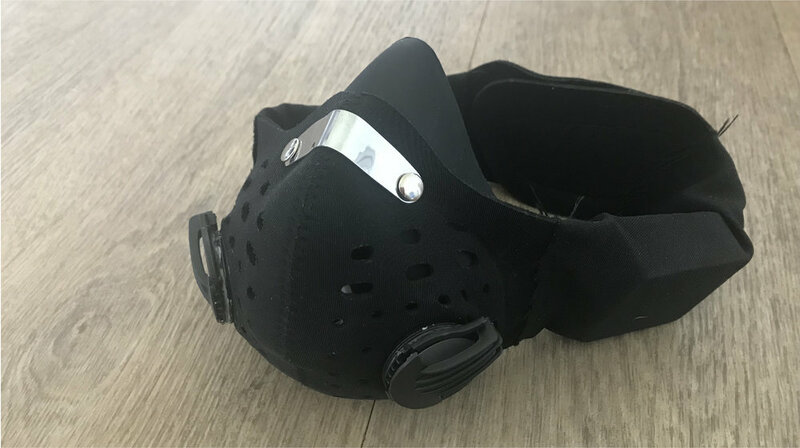 Through user interviews, poppers problems with breathing was revealed and the need of breath training was acknowledged. Through users tests and iterations, design decisions were made to enable the product to help poppers learn basic breathing techniques. However, the desirability of the product should be studied more in the future as poppers did not fully realize the significance of breathing in dancing. It would be necessary to educate poppers so that the product would be welcomed by poppers and gain its share in the market.